Great relationships count. They bring ideas to life, keep projects on track and help everything run smoothly. So while we’re building schools, we build partnerships too. Like the one we’ve got with Bedford Borough Council. 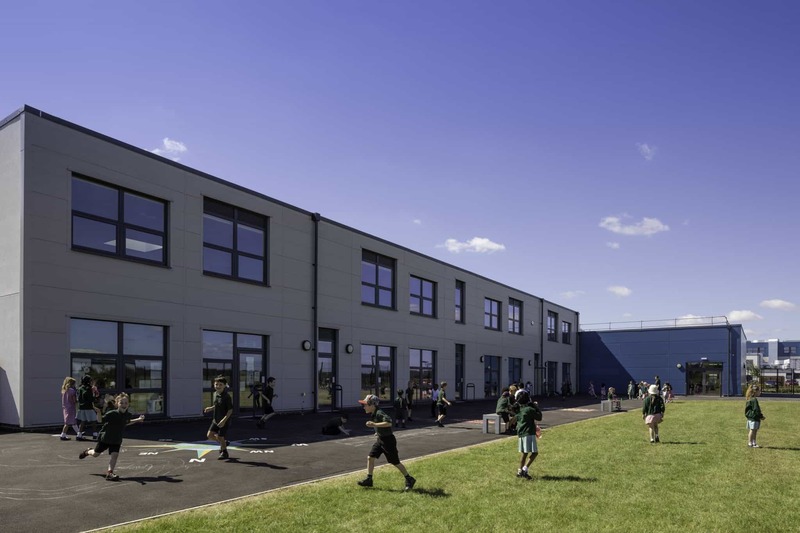 We’re working with them on a huge range of school development projects, so when they needed a new, £5 million primary school for The Wixams, they came to us. The Wixams is a cluster of four brand new villages being built just outside Bedford. The Council asked us to design a 420-place, two-form-entry primary school to serve the new community. It needed to feature a 26-place nursery and, along with its sister academy, create a real centrepiece for the Wixams development. We rose to the challenge and, in partnership with Willmott Dixon, Pick Everard and Scape, the school was delivered in September 2017 – in readiness for the new academic year. The school’s vision is to provide its staff and pupils with a vibrant and exciting learning environment where all children feel happy and confident to achieve excellence in everything they do. To support the school in its vision, our design included a wide central learning street with breakout areas and classrooms along either side. As well as a main assembly hall, the school has a studio hall for dance and other activities. Outside, the primary school will share vehicular access with the neighbouring academy, have its own all-weather sports facilities and feature a threshold piazza connected to the community’s network of cycle paths and walkways. Bedford Borough Council’s vision was to create a learning community which would welcome children at the age of two to the nursery and educate them all the way through to the age of 18. Keeping in close collaboration with all stakeholders meant the brand new primary school was delivered on time and on budget. The school welcomed its first pupils in September 2017 and it was evident by the smiles on the children’s faces that they felt pride and delight in their new learning environment.